18 years old San Salvador beauty, Yaritza Rivera was crowned Miss Earth El Salvador 2012 in an event held on 14th October in the Auditorium Fepade, Antigua Cuscatlan, La Libertad, El Salvador during the Reinado de El Salvador 2011-2012 grand finale. Yaritza Rivera will paint El Salvador at Miss Earth 2012, the world’s biggest beauty hunt contest after Miss World and Miss Universe. Miss Earth 2012 beauty pageant will be held at the Versailles Palace in Alabang, Muntinlupa City, Philippines on Saturday night of 24th November, 2012. Yaritza Rivera is 18 years old and 175 cm told. Her weight is 59 kg and her vital statistics in inches 35-26-37. Her hometown is Ean Salvador, El Salvador. Marcela Rivera has been crowned Miss Asia Pacific World El Salvador 2012 and she will represent El Salvador in Miss World 2012. While Marlin Ramirez has been chosen as Miss International El Salvador 2012 and she will represent El Salvador in Miss International 2012. 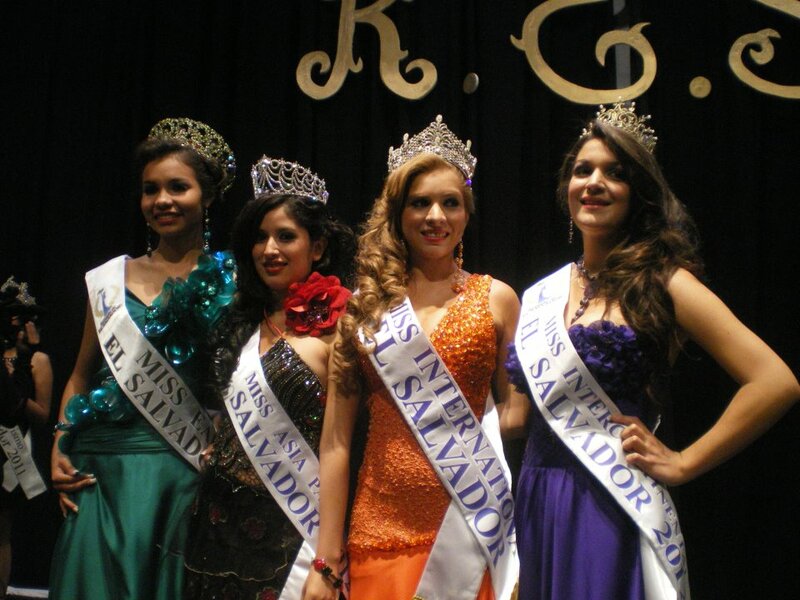 Marlyn Ramirez has won the Miss Corpobelo special award, Cecia Hileman has won the Best Body award, Marcela Rivera has won the Best Face award, Yessenia Lara has won the Miss Friendship award, Lisseth Vasquez has won the Miss Integral award and Alexia Quezada has won the Best Smile special award. When asked her about environmental advocacy and why did you choose it, she replied that We need sustainable energy 100%. We should live, and not destroy nature like rivers and forests because their destruction cause the global warming.